Washington D.C. [USA], Apr 2 (ANI): Researchers have developed biosensors that are structured similarly to that of the skin's microarchitecture and helps in the process of wound healing. The research was published in the Journal of Biosensors and Bioelectronics. "We eventually hope that these sensors and engineering accomplishments can help advance healthcare applications and provide a better quantitative understanding in disease progression, wound care, general health, fitness monitoring and more," said Matthew Brown, a PhD student, Binghamton University. Biosensors are analytical devices that combine a biological component with a physiochemical detector to observe and analyse a chemical substance and its reaction in the body. Cow Urine Can Your Protect Heart, Heal Diabetic Wounds: 5 Other Health Benefits of Gomutra. Conventional biosensor technology, while a great advancement in the medical field, still has limitations to overcome and improvements to be made to enhance their functionality.Researchers developed a skin-inspired, open-mesh electromechanical sensor that is capable of monitoring lactate and oxygen on the skin. "We are focused on developing next-generation platforms that can integrate with biological tissue (e.g. skin, neural and cardiac tissue)," said Brown.This wearable sensor is equipped with gold sensor cables capable of exhibiting similar mechanics to that of skin elasticity.The researchers hope to create a new mode of sensor that will meld seamlessly with the wearer's body to maximize body analysis to help understand chemical and physiological information. 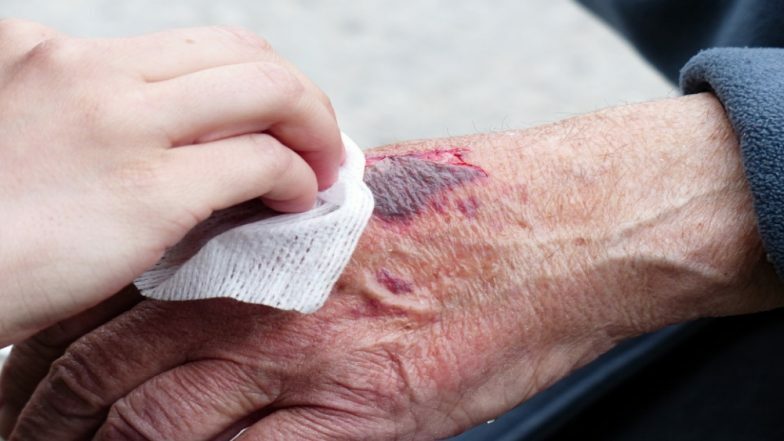 "This topic was interesting to us because we were very interested in the real-time, on-site evaluation of wound healing progress in the near future," said Brown.